Are you planning a small wedding with a few loved ones? Why not do it in Lake Tahoe? This is the perfect place for an intimate, romantic wedding where you can exchange your vows in the presence of those you hold close. A small Tahoe wedding would be perfect as the location gives you a breathtaking backdrop to make the occasion even more special. One of the most popular wedding locations in the world, Lake Tahoe brings couples from all over, helping them create beautiful memories as they begin their new life together. 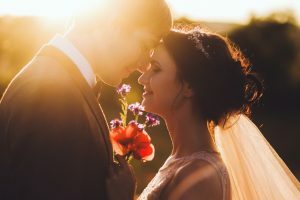 There is nothing like Lake Tahoe weddings when you want to create an occasion that does not only bring you and your significant other together but your loved ones as well. This is the best place to have a small wedding and celebrate your union with a select few. With the beauty of nature all around you, you can have that beautiful wedding you have always dreamed of. Not everyone wants a huge wedding. Sometimes, all couples want is a simple, small wedding with close friends and family. We can help you plan an intimate event where you can exchange vows and celebrate your love with a small group of people. We will work through every step of the way with you to plan the wedding you have always wished for. You can have an amazing Emerald Bay wedding, a beach wedding, or even elope in Lake Tahoe! We are a team of experienced professionals who have helped couples plan the wedding of their dreams in Lake Tahoe. We will help you create a wedding that fits your unique needs and budget. From small Lake Tahoe weddings to grand events, we have done it all! Our goal is to make sure that you have the wedding you want and we will help you plan the most beautiful, simple wedding that you and your loved ones will never forget. No matter what time of the year it is, Lake Tahoe is the most wonderful place to have a wedding. It is beautiful in this part of Northern California all year round. Whether you say “I do” under the summer sun or in the snow, you can always be sure to have a picturesque backdrop to make your special day even more special and beautiful. From Tahoe lakefront weddings to mountaintop events, we can help make your vision come to life.